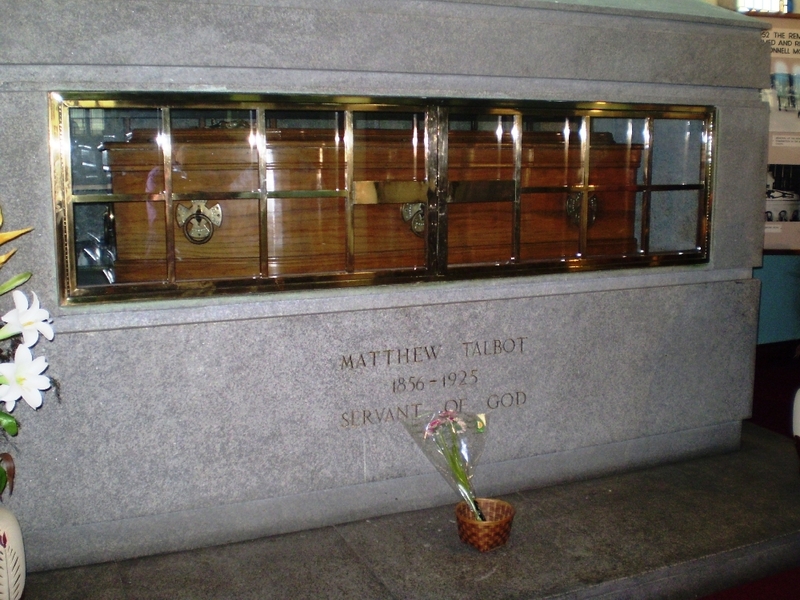 The name of Matt Talbot is a very familiar one, especially to Dubliners and those of us who regularly pass through Granby Lane. However he is an inspiration to countless people and has become an icon for the Pioneer Total Abstinence Movement. neglected. Matt like so many others of his time turned to alcohol as a way of deadening the misery and poverty of daily life. Back in those days in Ireland, children were not obliged to go to school. His drinking began aged twelve when he became a messenger boy for Messrs Edward and John Burke, wine merchants. Matt used to take dregs from the bottom of bottles. He later admitted that from his early teens to his late twenties his only aim in life was heavy drinking. When his wages were spent he borrowed and scrounged for money. He supplemented his earnings by minding horses outside a tavern and waiting for the owners to tip him on their departure. He pawned his clothes and boots. On one lamentable occasion he was drinking with friends when a blind fiddle player joined them. Matt stole the fiddle thereby depriving the poor man of his livelihood. The incident haunted him and years later he searched the city for the poor musician. Unable to find him he had Masses offered for his sake in restitution. By the time he was twenty-eight he was on the road to self-destruction, refusing to listen to his mother’s pleas to stop drinking. Then an incident occurred. One day utterly broke he loitered outside O’Meara’s pub hoping that his friends for whom he had often bought drink would take pity on him and invite him in with them. However most ignored him. This was a moment of humiliation which years later he admitted had “cut to the heart”. Making his way home slowly his mother was amazed to see him sober and became even more so when he told her it was his intention to take the pledge. At that time if you wanted to stop drinking the custom was to take a solemn pledge before a priest to abstain for a period of time. He went to Holy Cross Church where he asked for confession and took the pledge. The priest advised him to abstain from drink for 90 days and then revise the situation. These were 90 days of sheer hell. Now we are aware of the withdrawal symptoms of addiction and there is help available. There was no support then and Matt had to endure the sufferings, hallucinations, tremors, depression and nausea alone. Matt with time on his hands began to walk in the evenings. On one occasion passing Bushe’s Public House he was drawn in by the beer fumes wafting out. However he was a stranger and the bar man was too busy serving the locals to bother with him. Ignored he stormed off and ended up in a Jesuit Church nearby where he made a second solemn pledge; this time to abstain from drink for the rest of his life. This experience led to another resolution never to carry any money. Dropping into churches became a way of life. At first they were places that substituted for the bars and taverns but gradually Matt, who was suffering terribly, began to pray to God to help him persevere. The strict life of the early Irish monks with its emphasis on prayer, penance, humility and manual labour appealed to him and he embraced a totally new way of living. The austere way he lived is a challenge to us today. We live at a time when not only do people regard comfort as a right but they tend to put individual needs before the needs of others. Images of Granby Lane, Dublin 1 where Matt Talbot died and his memorial plaque. You can see the back of St .Saviour’s in the background of the picture. Matt began to attend Mass regularly and to read religious books. He became a Third Order Franciscan in 1890 and was a member of several other associations and sodalities. Matt used his wages to pay back his debts and what little remained he gave to others. He fasted regularly and when his mother died the little flat that became his home was sparsely furnished. Included was a plank bed with a piece of timber on which to lay his head. 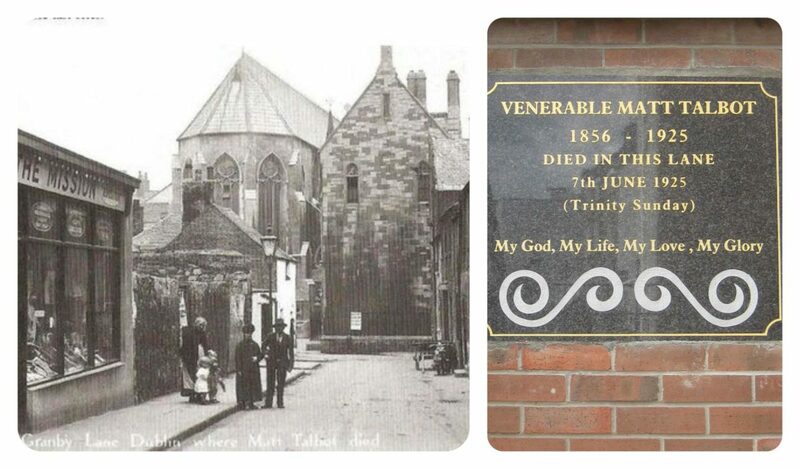 Matt was on his way to Mass in St Saviour’s Church on Dominic Street on June 7th 1925 when he collapsed and died on Granby Lane. 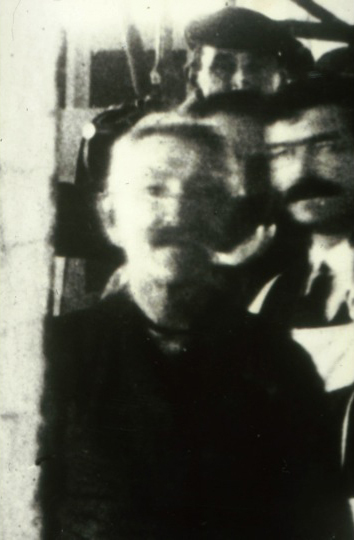 His life might have gone unnoticed were it not for the cords and chains discovered on his body. Inquiries revealed them to be a symbol of his devotion to Mary. The thinking was that a person who considered themselves a spiritual slave to the mother of God would remain close to her and to Jesus. Following this discovery, allied to people’s experience of him, stories about his holiness began to spread. A process was put in place which culminated in Matt being declared Venerable by Pope Paul VI in 1975. If this opinion is confirmed by the Miracles required by Canon Law, he will be declared a Saint. Whether or not this comes to pass he will always remain an inspirational example of one man’s capacity to transform a long road of despair into one of redemption. Matt gives hope to those who share his addiction and who are inspired by his courage and faith. They know, he knew how difficult it is and can take courage from the fact that he still managed to find a way out of the darkness. His shrine is located in the Church of Our Lady of Lourdes on Sean MacDermott Street Lower in Dublin. 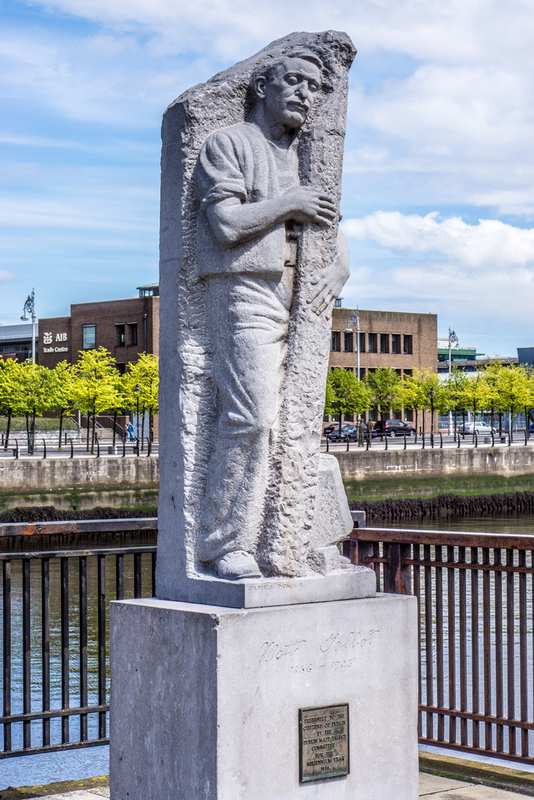 Statue of Talbot near Dublin’s Talbot Memorial Bridge. and of lifelong reverence for the Most Holy Sacrament. of Our Lord and Saviour, Jesus Christ. the power he enjoys in your sight.